Remember that the kit was very old, the decals where knackered and the instructions were all in Japanese? Also, remember that the kit cost £35.00 and the paint was another £8.99. Then I needed some clear and white laser decal paper and two sets of glossy white vinyl circles. The total cost of that lot was £15.00 so, in the end, it cost me close to £60.00. Was it worth it? Not sure. What I have is a nice little model that has no engine and no suspension - it comes as a so-called "kurbside" model. It has taken a lot of effort to get it to this position, plus a trip to my daughter's school. I am glad I have it now but not sure if I would have done it - had I known! I had a lot of trouble painting the chrome surround to the windscreen. I masked it off but that didn't work too well. In trying to clean it up I got some silver smeared on the gloss red. From there it went from bad to worse. 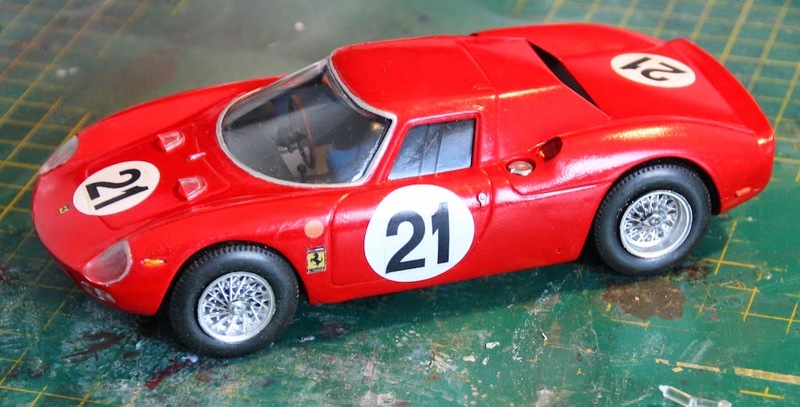 I had to mask off a lot of the car and respray with the Ferrari red. 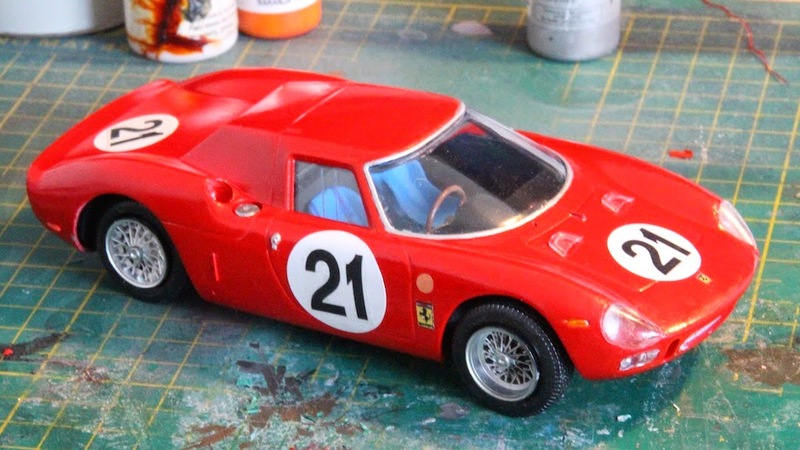 However, I also chose to use the rattle can rather than decant the paint as I did with the 250GTO so I ended up in a bit of a mess when respraying. Did I mention that I got red paint splashes on my shirt and, just now, I dropped the lid of some Lifecolor red paint and got a couple of splashes on my trousers - so factor in a £30 shirt and some £45 trousers! Anyway, here it is. 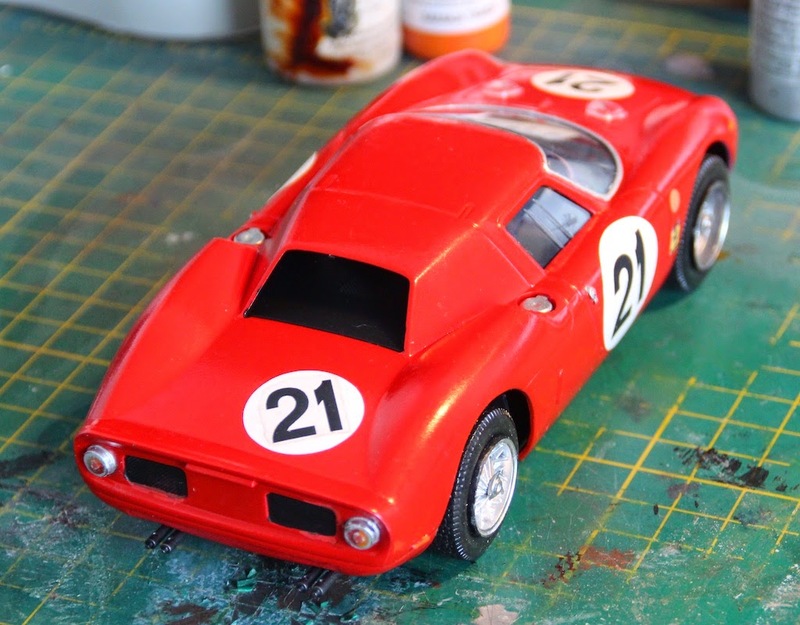 Please remember that all of the decals are home made and for a car not covered by the kit. 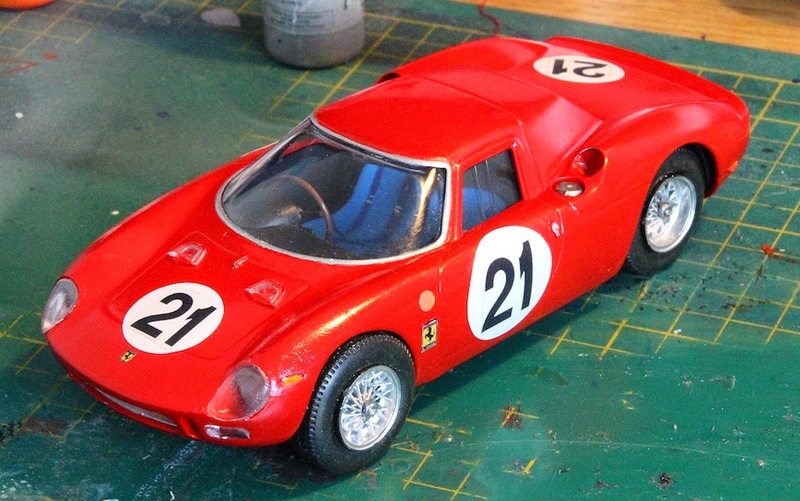 After everything, I am glad that I have another great Ferrari to go with the GTO and the forthcoming 330P.